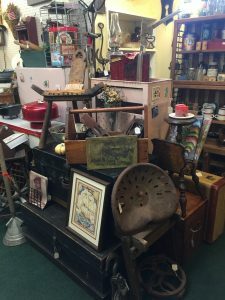 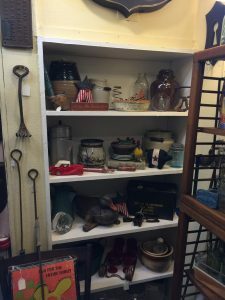 Funky Vintiques has expanded inside Lafayette Antiques & Home Decor. 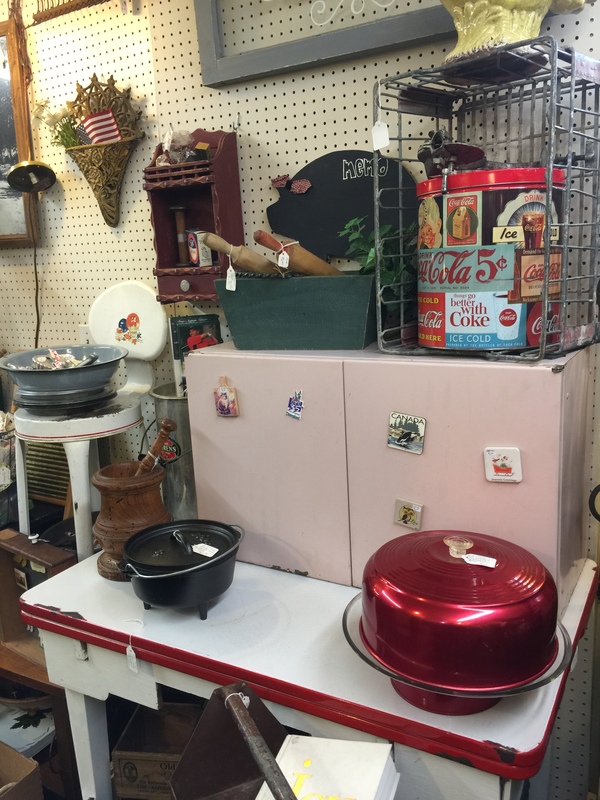 We have added more primitives and mid-century! 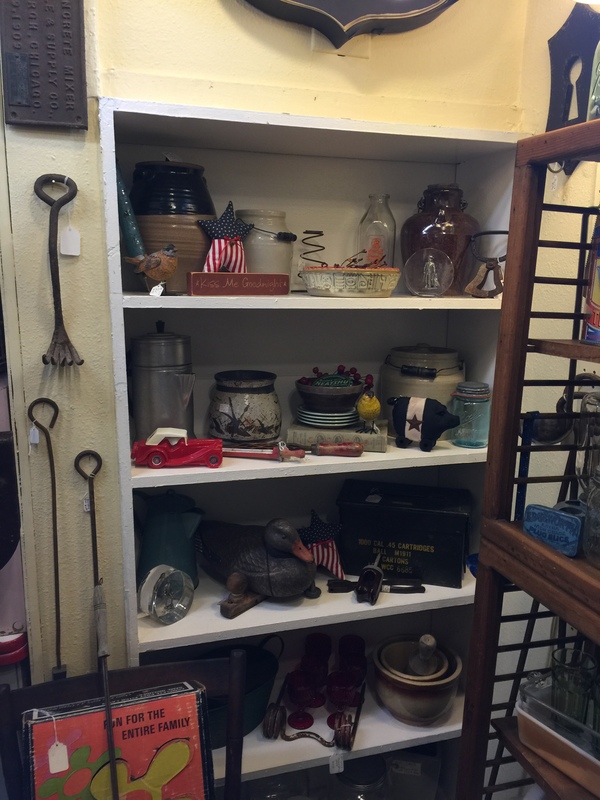 Follow us on Facebook, Instagram & Twitter! Man this pink metal cabinet is sooo sweet, and look at that rotating musical cake carrier – near mint shape!